Several communities in Alberta are dealing with massive flooding, prompting local states of emergency and forcing residents to get creative with their commuting. 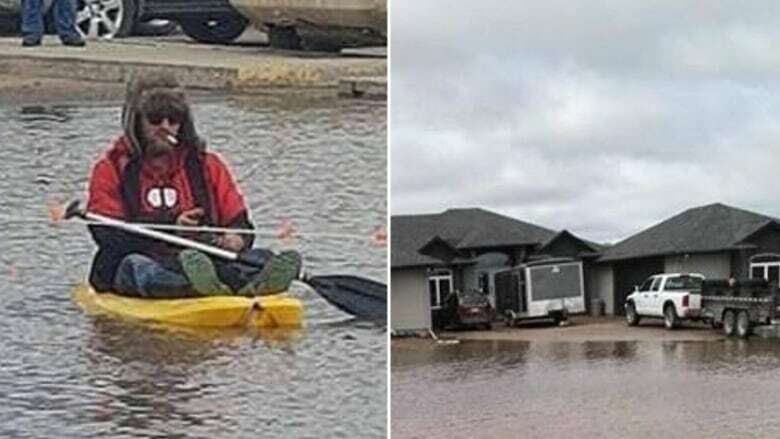 Several communities in Alberta are dealing with spring flooding, prompting local states of emergency and forcing residents to get creative with their commuting. A high water level alert is also in effect for Drumheller. Melting snow is flooding roads and residential areas. Residents are asked to avoid travelling on roads covered in water, and to be cautious around rising water. 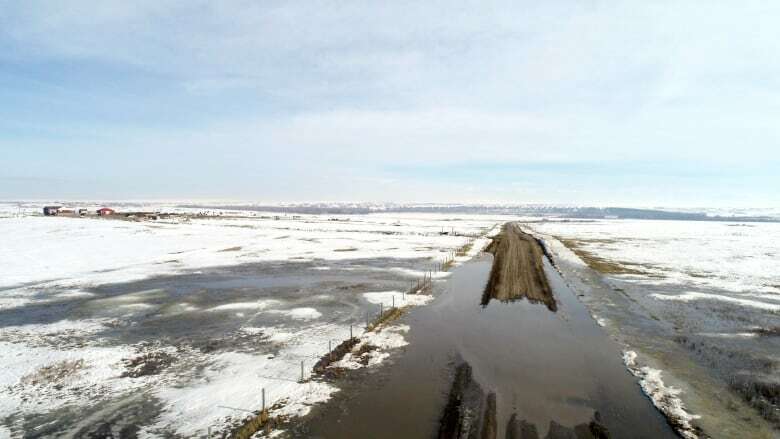 Major flooding in southern Alberta last week shut down roads and prompted Siksika Nation and Lethbridge County to declare states of emergency. 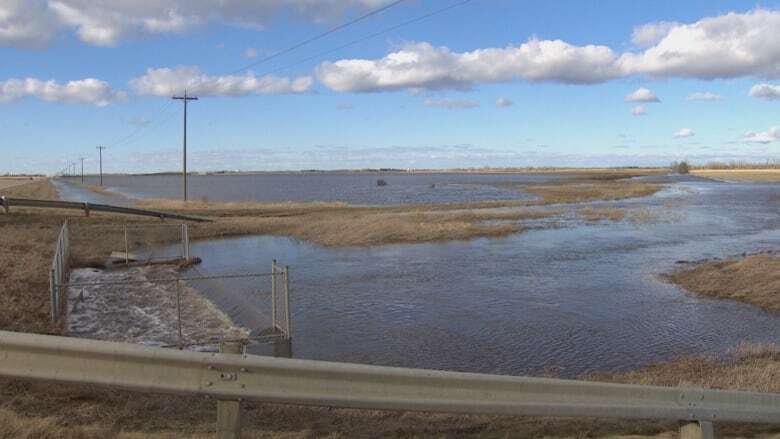 Flooding began in the Municipal District of Taber in March. Emergency alert issued following flooding in Rycroft, Alta. Cold Lake is facing serious flooding, said resident Les Wiley. The equipment operator decided he had to find a more buoyant vehicle for a Sunday afternoon trip to the local Walmart. His friend, Curtis Hargrove, snapped a photo of Wiley paddling through the store's flooded parking lot in a kayak, sporting a fake fur hat and a fishing rod, with a cigarette between his lips. "It was pretty fun. You know, nice relaxing day on the lake," Wiley said. "Lots of people stopping and taking pictures, laughing and asking me how the fishing was. "It wasn't very good. I didn't get anything." Wiley said the water was about 12 inches deep, but that wasn't the worst spot in town. One house in Country Lane Estates is entirely surrounded by water, he said. The flooding happens every year, he said, so he won't be putting the kayak away any time soon. "We deal with it all the time," Wiley said. "Pretty much everyone has a sump in their basement, so most people are under control. It's spring in Alberta, it's what happens. I'm halfway up a hill with no basement, so no worries for me." Snow will continue to melt across the province this week, with temperatures expected to rise to 22C in some areas. The average high for this time of year in Calgary and Edmonton is about 13 C.
Rural areas of Strathcona County also saw flooding over the weekend. Some minor roads were closed, but were expected to reopen on Monday. The county's manager of transportation infrastructure, Ryan Wilson, said crews are out around the clock dealing with the issue. "This year's a little bit special in that we see it just happening so quick," he said. "Normally, we have a couple melting events and freezing at night, and it's a little bit more gradual." Homeowners can protect their property from flooding by clearing drainage areas of debris and ensuring their sump pumps are in good working condition. Albertans can keep up to date on the latest flood alerts at Alberta Emergency Alert.